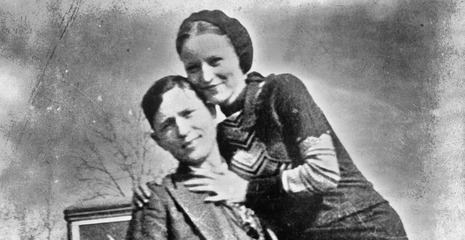 On August 5, 1932, while Parker was visiting her mother, Barrow, Hamilton and Everett Milligan were drinking alcohol at a country dance in Stringtown, Oklahoma (illegal under Prohibition). When Sheriff C.G. Maxwell and his deputy, Eugene C. Moore, approached them in the parking lot, Barrow opened fire, killing the deputy. That was the first killing of a lawman by what would later be known as the Barrow Gang, a total eventually amounting to nine officers killed. Another civilian was added to the list on October 11, 1932 when storekeeper Howard Hall was killed during a robbery of his store in Sherman, Texas. There was sixty dollars in his till.